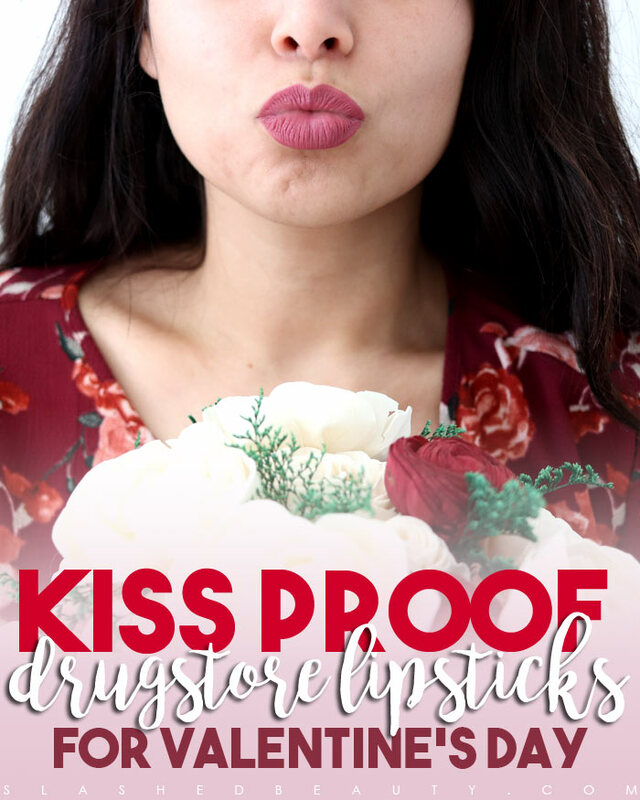 It’s one thing when a lipstick claims to be smudge-proof, but a whole new ballpark when it boasts kiss proof. This Valentine’s Day, don’t go light on the smooching on account of your makeup. Whether or not you actually have someone to kiss or not, a good collection always has room for another lipstick that won’t budge. I, for one, am not the type of girl who likes to babysit my face, constantly checking to see if all’s okay or if I need to reapply. These lipstick picks are tried and true, and are bound to last through any plans— romantic or not— this Valentine’s Day. 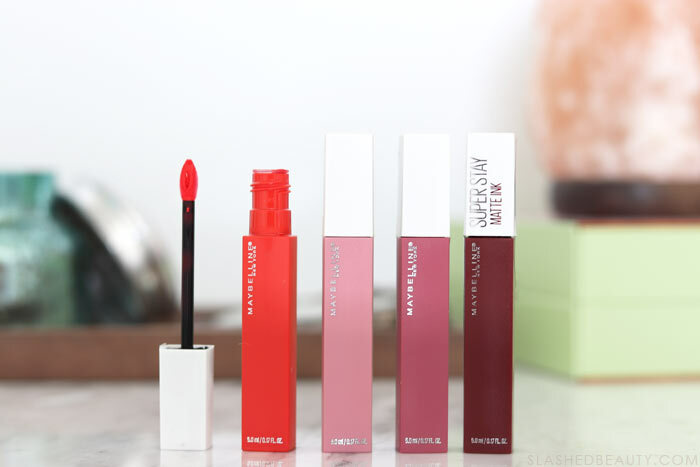 As of right now, the Maybelline Super Stay Matte Ink lipsticks are one of my more trusted from the drugstore when I need something to really hang on through a long day. 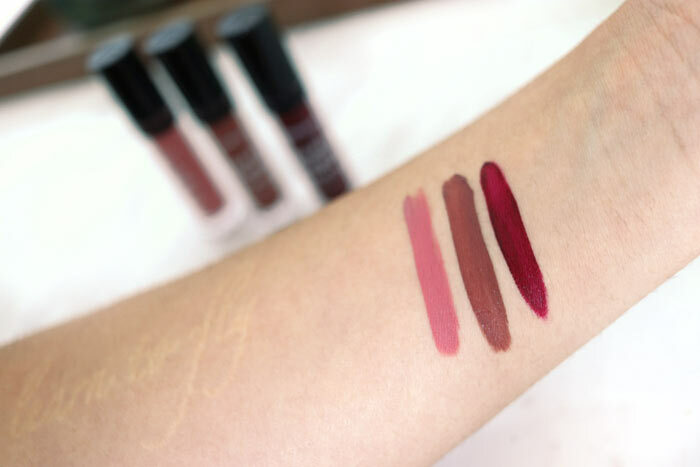 They give you a true matte finish and incredibly pigmented color that lasts. Be careful with extremely greasy foods, but for the most part these take a lot of elbow grease to remove. These won’t leave the slightest hint of lipstick behind on your coffee mug, either. The brand just released the new “Un-Nudes” shade range in this formula, with a ton of neutral colors with a few pops of bold. 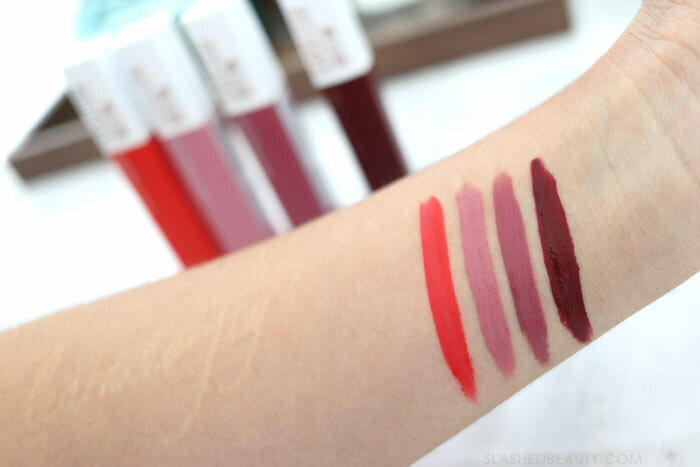 These little Jordana Sweet Cream Matte liquid lipsticks will give you bang for your buck. They apply with full-force color that hardly needs building up at all. 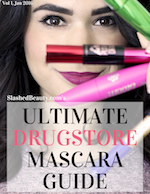 The thin yet creamy formula dries quickly and sets so you can forget it! Through eating and drinking (and kissing! ), I don’t see fading and there’s no flaking at all. The color stays intact and just as beautiful as when you first apply it. The one hitch is that these can be difficult to find in stores right now since they just relaunched the collection, but are available online. I have a love/hate relationship with the Covergirl Outlast All Day Custom Red Lip Colors, but overall they’re pretty incredible. This is a two-step system— first you apply the liquid lipstick, which typically takes two layers to get completely opaque. Apply them in thin layers though, for maximum wear time. Next, you top off with the included lip balm which hydrates your lips under the color and also adds a shiny finish that’s true to a normal lipstick. The color will stay intact through normal wear and tear with absolutely no transfer. I occasionally find a little flaking toward the middle to occur while eating, but thin layers and regular application of the balm will help you avoid that. Watch my full review and see swatches in the video above. What’s your favorite kiss proof lipstick for Valentine’s Day? 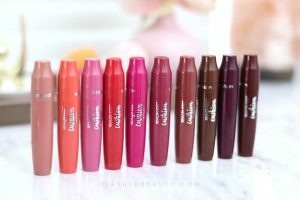 Thanku for the options I’ll definetly be giving them a try, the one that I’ve found to work for me is the Loreal infallible Lip 2..stays put throughout a lot of smooches.